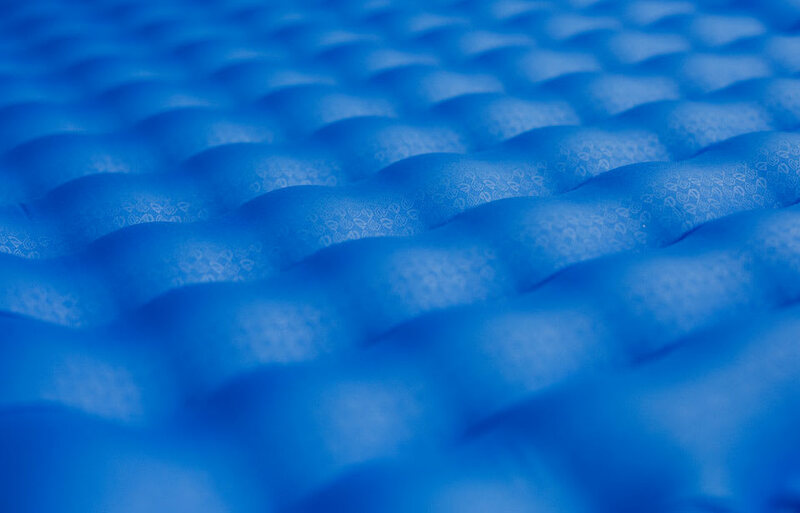 Spaceframe baffles (die-cut trusses of low-stretch fabric) eliminate the springiness found in competitor pads. 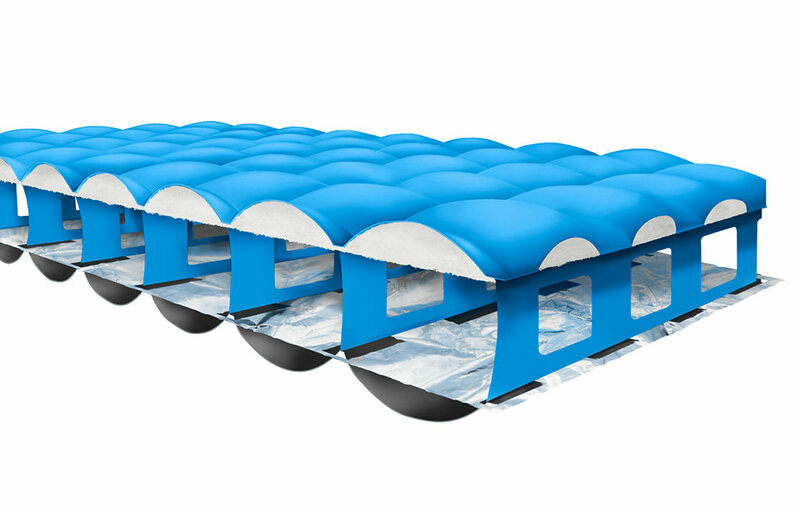 This create a more stable sleep surface, better for rolling side-to-side and for keeping your elbows off the ground when reading a book. 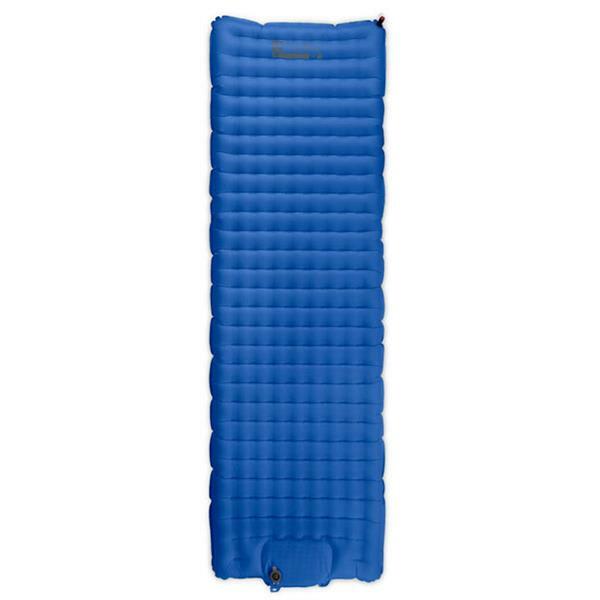 Undulating Lateral Baffles offer the most comfortable and unobtrusive topography for sleeping pads, which combined with the height, stability, quiet farbics, and paltry weight and packed size makes this series the ultimate in pad design. 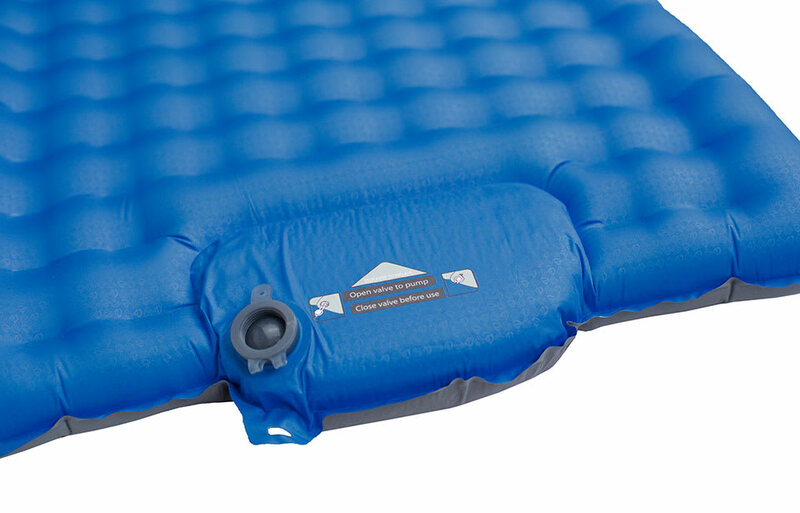 The integrated foot pump is fast and efficient, and vastly superior to using your lungs, especially after a long day on the trail. The Vector features a metalized film layer to offer insulation at an ethereal weight.